Adapting to a warped transportation system is survival. Challenging a warped transportation system is advocacy. Advocating since 1999. In 2016 Louisville set records in traffic fatalities. Traffic fatalities can be reduced by rejecting a culture of speed and power. 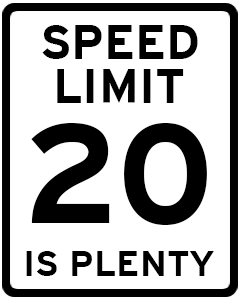 Urban streets need be traveled no faster than twenty miles per hour (20 mph). A speed limit of 20 mph coupled with one way streets, better public transit, and more bicycles in urban travel lanes will create safer streets. The city’s best tool for calming urban traffic is a bicycle the travel lane. Yet, Metro is intent on pushing cyclists to the perimeter of urban streets. Metro is not addressing the real problem – motor vehicle mass and velocity. The phrase “except those provisions of this traffic code which by their very nature can have no application” is a very important component of the law. The phrase permits an evaluation of traffic codes within the context of risk reduction. Central to the question of what is legal or illegal for a cyclist is ‘the nature of the traffic code’. If the nature of the code increases risk, the code “can have no application”. The phrase addresses the realities of bicycling, permitting the cyclist to be both safe and legal. The oft heard question revolves around cyclists: 1) slowing at stop signs, 2) riding through red lights, 3) passing stopped or slow cars, and 4) riding on sidewalks. A narrow legal interpretation (one that ignores half the law) concludes that our traffic code requires cycling citizens to stop and stand unprotected in a traffic lane with oncoming cars approaching quickly from behind. The vulnerable cyclist has no clue as to the driver’s intent or ability to stop that approaching car. If it is safe to leave an intersection, the most dangerous portion of the road, leave it. A narrow interpretation of the law requires citizen cyclists to stop, stand in the midst of idling engines, and inhale carcinogenic exhaust. Louisville’s lack of adequate mobile source emissions regulations makes this scenario particularly unacceptable. The law permits the cyclist to move safely through a congested intersection or beyond a line of waiting cars, avoiding inhaling the exhaust of idling, then accelerating engines. The phrase “except those provisions of this traffic code which by their very nature can have no application” is also important in that our street and lights are not designed for bikes, but for motor vehicles. An example of this is the lights at intersections. Those intersection lights controlled by sensors imbedded in the road ignore cyclists. They therefore “can have no application”. Further, the lights, when timed, are timed for the speeds of motor vehicles, not bicycles. They therefore “can have no application”. A narrow interpretation of the law requires a “one size fits all” approach to both persons and situations. Road conditions and circumstances differ radically. Cyclists also differ radically. Metro law is brilliantly flexible. It permits cyclists to be legal and reduce risk. Metro law recognizes the ancient aphorism: ‘Keeping wolf’s rules, hare dies’. The measure of the nature of the traffic code is risk reduction. Be brilliant – ride, drive with risk reduction in mind. 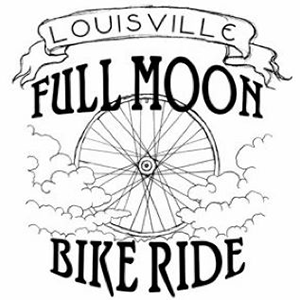 Avoid those painted stretches of Louisville roads referred to as ‘bike lanes’. Louisville has yet to learn how to build good bike lanes. Our current lanes are ‘door zones’ and ‘debris fields’. A suddenly opened door of a parked car threatens to take down the cyclist or forces her into a traveling lane occupied by a driver approaching from behind who is not expecting the cyclist to change lanes so suddenly – both have bad consequences. The bike lanes contain glass and roofing tacks that will puncture bike tubes. Then, as a cyclist leaves a ‘bike lane’ on one side of the street to turn onto a side street on the other side of the street containing the bike lane, some motorists under the impression cyclists should stay on their reservation/ghetto will yell at the cyclist – needless antagonization. In the summer the bike lane is often not on the shady side of the street. In the winter, an icy bike lane on the shady side of a street is dangerous. Too often the condition of the pavement is better outside the bike lane than inside. Louisville has yet learned to properly design or clean a bike lane. Real bike lanes begin with protection, they are not just paint on a road shared by speeding cars. There is also another dynamic at play regarding bike lanes. Ever take a road trip with squabbling siblings in the back seat? “‘He’s on my side of the car!” As pedestrians and cyclists use the Big Four Bridge, as motorists and cyclists are presented with bicycle lanes, all three groups are whining about others either “not staying in their place” or “getting into my space”. The concept of common, shared, public space and adult behavior seems to vanish as soon as groups are designated to separate but equal facilities. Cyclists should slow down on the Big Four Bridge. Motorists should slow down on the streets. We can share our common space peacefully. So instead of riding the bad bike lanes, ride the travel lane where the cars’ driver-side tires have cleaned the road surface of debris. Drivers approaching from behind can see you better and they know they are going to have to go around you rather than squeeze past you. Should the passing vehicle get too close, you have room on your right to move away from it. If you are already on the right side of the road, you have no escape route. Exercise ‘controlled erraticism’. Float from the left side of the lane to the center and back in a controlled manner. This lateral movement catches the eyes of drivers approaching from behind. Not only do they see you better, but the message this motion sends to the driver is that he does not know where you are going next. The result is that the driver will give you more space as he follows or passes you. By riding in the left and center of the lane you also avoid the right side of the road where all the debris collects. When it rains and snows, ride TARC. Rain and snow result in punctured tubes, as do sidewalks and alleys. Use hand signals only if your bike is under control. Most people should keep both hands on the handlebar. Helmets are for fast/assertive cyclists, the unsteady, learners, or cycling in heavy traffic or on slick roads. Don’t let your reticence to wear a helmet keep you from riding your bike. ‘Keeping wolf’s rules, hare dies’ is an ancient aphorism that holds true on many levels in cycling. Metro law understands the aphorism and the practical application. That is why Metro ordinances make the exception for cyclists. The automotive industry also understands the aphorism. That industry would strangle cycling just as it strangled public transit. It does so by joining the forces who insist on cycling helmets, bright colored clothes, lights, mirrors, etc.. This insistance has three negative consequences on cycling. 1) It moves cycling outside the range of affordability for many. 2) It shifts the responsibility for road safety away from the true threat to safe streets – cars. 3) It moves cycling beyond the range of normal activity. An example is found in Ford’s underwriting Iron Man events. These events are great, but they reinforce the erroneous perception that cycling is for the exceptional. Cycling is not exceptional behaviour. It is not exclusive to the physical or financial elites. Cycling is for everyone.